There’s the Guiness Book of World Records, and then there’s our version: The Tyreright Book of World Records! Finally, a place for The People to get their own World Records for anything and everything! The fastest time to put 10 tissues in your mouth; 32.4 seconds. Record holder: Hamish Blake. Record broken by Lachlan Collett for 23.5 seconds! Record broken by Allan Cashion for 19.76 secs. Record broken by Levi Johnson with 6.47 secs. The biggest Days of Our Lives collection. Heaps! All over her bedroom floor. Record holder: Isabella. Play the most sports at one time (4 in 1 week). Record holder: Lucas. Record broken by Lachlan for 5 in 1 week. Then broken again by Rian Young for 6 in 1 week! Hold a Mount Franklin bottle lid on right thumb for 3 mins 42 secs. Record holder: Hamish. Record broken by Daniel Muddle for 7 mins 46 secs. Record broken by Dunney Possman for 18 mins 07 secs. Record broken by Stephen Guerin with 27 mins. First to officiate the most number of records; 3 of the first 5 records. Record holder: Andy. The most mandarins eaten in one hour; 4. Record holder: Rish Mishra. Broken by Dawsey with 7. Broken by Aadya Mishra with 12. Epic pen lid collection; thought to be 10,000 (unconfirmed). Record holder: Wise Lotus. Fastest completion of the game Dishonored (hardest difficulty); 57 mins 43 secs. Record holder: Euan Gray. Thickest head of hair (multiple hairdressers have said it’s the thickest they have ever seen). Record holder: Bradley Good. Broken by William Shield with an even thicker head of hair (more than multiple hairdressers have said it’s the thickest they have ever seen). Most lemons eaten in a minute; 9. Record holder: Jack Riley. The best (maybe fastest) checkout operator at supermarkets. Record holder: Cody Surawski. The most broken bones in his street; 2 broken collar bones, 3 broken fingers, 2 broken ribs, 1 fractured neck bone. All in 18 months. Record holder: Mitchell Waugh. Highest number of ice cubes eaten in half an hour; 3 trays or 36 cubes. Record holder: Lauren Madden. Largest collection of Smartie boxes; 700+. Record holder: Sarah. Most hats worn while standing on your left foot and wearing a blue shirt; 12. Record holder: Zac Richardson. Owner of the largest dog in the world who wears sunglasses and a hat. Record holder: Daniel. Coolest leaf collection in the world. Ranging from the most colourful to the most smelly. Record holder: Ella Whish. The second real magic wizard that is alive today (the first was merlin, but he is dead). Record holder: The Ninja Wizard (AKA Spencer Cameron). The most accurate drawings of people’s faces. Record holder: Natasha. Eating 36 Weet-Bix in 35 minutes. Record holder: Bradley Smee. On vacation the most out of everyone; 200 days out of 365. Record holder: Rhett Allen. Youngest person to enter this record book; age 14. Record holder: Cameron Burkitt. Record broken by The Tank; age 10. Record broken by Liam; age 14 days. Longest car ride with leaked frittata juice on lap. Record holder: Bridget. Saying “Nanananananananana…” with tongue hanging out for 74 seconds without stopping. Record holder: Ella. Missed the school bus the most times (2) because was patting a cat. Record holder: Emma Rainsford. Longest anyone has gone awake without opening their eyes; 3 hrs 25 minutes and 12 seconds. Record holder: William Fiedler. Most number of people secretly pegged with balloons attached to string; heaps. Record holders: Shiane Groot and Sophie Twidale. Reciting the alphabet in 2.88 seconds. Record holder: Merlin McGiggle. Record broken by Erin Alphabet Slayer with 2.66 secs. Most amount of noodle packets eaten in a day; 21. Record holder: Stacie. Most keepy-uppies/soccer juggles; 143-no bounce. Record holder: David. Broken by Jeremy Carne with 174! Fastest litre of beer drunk through a hat; 55sec. Record holder: Gabriel Paholski. Strangest injury: Accidentally cutting leg on a xylophone. Record holder: Squizzy Mcmuffin. Listen to 18 episodes of the Happy Hour podcast in one day. Record holder: Kim. The most doors in one bed room. Record holder: Kurtis Nisbet. The most 50 cent pieces stacked edge to edge; 7. Record holder: Potto McSquishyfluffums. Most times blaming a fart on a dog; 7. Record holder: Mr Umbrella-Mustachington. Watching every episode of Friends at least 12 times each. Record holder: Sneaky Pumpkin. First man to wear a dinosaur onesie that’s too small for him in the legs. Record holder: James Nicholson. Click fingers 42 times in 10 seconds. Record holder: Esquire Falcon Hunter. Running 100m on your knees in 1 minute and 11 seconds. Record holder: Rosie. Owning the oldest Xbox 360 receipt; printed 27 Dec ’09. Record holder: Matthew Lee. Record broken by Jordan Wood; 18 Dec ’08. Record broken by Hayden Patterson; 19 Nov ’08. Tallest man; 196 cm. Record holder: Sam Sammy Samson. Most house hold pets; 17 cats, 2 dogs, 1 magpie and 3 snakes. Record holder: Victoria’s Aunty. Most shops visited for same item in an hour; 17 shops looking for a specific bag of crisps. Record holder: Rian Young. Most boring tea towel collection; 15 tea towels, many of them exactly the same. Record holder: Wonko. for the longest amount of time; 19 hrs (7pm till 2pm the next day). Record holder: Emily. Recite the alphabet backwards faster than a person saying it in the normal order. Record holder: Sophia Kapes’s Grandmother. Fastest time to photocopy face and tape copy to face; 9.3 seconds. Record holder: Don Aldack. Longest time chewing the same bit of gum; 5 days 3 hours. Record holder: James Thomas. Balance a cricket bat on your middle finger for 6 mins and 23 seconds. Record holder: Dan Nathan. Most cups of water drunk on an international flight; 21 cups. Record holder: Robert Kocur. Most Pokes on Facebook; 8. Record holder: Leo Haley. Owner of the most desktop wallpapers; 2085. Record holder: Liam Spencer. Longest time holding a Gummy teeth lolly in your mouth; 45 mins. Joint record holders: Shiane Groot and Sophie Twidale. Most Candy Crush levels passed in one day; 45. Record holder: Marc. Longest amount of hours playing Guitar Hero, 19 hours 21 minutes and 34 seconds. Record holder: Daniel. Most amount of pegs attached to the human head; 149. Record holder: William Sim. Juggling 9 rings for 11 catches sitting on a chair in a circus tent. Record holder: Cody Harrington. Biggest batman memorabilia collection; loads! Record holder: Maddie McKechnie. Kept a malteaser on the tongue for 14 minutes 30 seconds. Record holder: Ella. Eating 1 monte carlo biscuit in 10.4 seconds. Record holder: Matthew Wesley. Most backflips in 1 minute; 12. Record holder: Tom. Highest number of Adidas items; 26. Record holder: Leo Haley. Highest level of Candy Crush without buying lives, skip quests and without ever using a power up ever and without putting the time forwards to gain new lives; 389. Record holder: Adam Sarre. Most amount of roly-polys down the longest corridor in the southern hemisphere. Record holder: Freya. Longest cow drinking trough in the southern hemisphere. Record holder: Mike. Biggest hands in the Australia. Record holder: Squiggles. Record broken by Jordan. Record broken by Vince Colosimo. Largest Freddo frog wrappers collection; 600. Record holder: Tara Lieschke. Record broken by Tara Lieschke with 617. Most one cent coins held on elbow, then caught into hand without dropping any; 41. Record holder: Phantom Truckie. Fastest Friends quoter; 5 seconds before given line is said in the TV show (for 90% of each episode). Record holder: Mais. Fastest time to eat a cadbury picnic bar; 33.2 sec. Record holder: Ned. Smallest age gap between two twins; 2 minutes (born at 8:35 and with sister born at 8:37). Record holder: Guy. The person that seems to be aware of the most amount of twins in a graduating class, in proportion to the total amount of students in that class; 9 twins out of 230 students. Record holder: Morgan. Record broken by Guy with 7 twins out of 150 students. Broken again by Maddy with 3 twins out of 20 students. The shortest time period for holding a record; 3 minutes for the above record. Record holder: Morgan. Most ‘Mi Goreng’ eaten over a period of 2 weeks; 20 packets. Record holder: Jack McNoodlelover. Most number of times spun around underwater in a pool; 4. Record holder: Meg Anderson. Record broken by Mitchell Kemp with 9. Biggest collection of drink coasters; 500 (or two big garbage bags worth). Record holder: Ally’s Dad. Longest time holding breath; 40 seconds. Record holder: Mitchell. Record broken by Daniel with 43 seconds. Record broken by Nathan with 1min 8sec. Most grapes fitted in mouth without crushing or breaking the skin of any grape; 23. Record holder: John Tomerini. Most National Geographic magazines in one room; 419. Record holder: Harry Smith. Best cat patter; patted a cat 583 times in one go. Record holder: Androniicus. Most consecutive days of re-wearing the same socks, without washing them, for 8.5 hrs or more per day; 15 days. Record holder: Lord stinky socks. Record broken by King Stinky Socks for 8.5 hrs or more per day; 25 days. Largest air guitar collection. Record holder: George Bull. Been awake the most hours in one day. 24 hrs. Record holder: Alexander Pereira. Finished Grand Theft Auto 5 in 18:44:13. Which is pretty quick actually. Record holder: Niroshan Sivaneeswaran. Listened to 19 episodes of the Happy Hour podcast in one day. Record holder: Josh Rogerson. Record broken by Cody Surawski with 25. Freezing out super babe Rachel Finch for 19 years. Record holder: Sir Sam. Most Bus misses in one day; 4 busses. Record holder: Mr Time Keeper. Most breaths taken in my own body. Approximately 179,945,000 breaths at 17 years of mastering this. Record holder: Amon. Most missed soccer penalties in an open goal; 6. Record holder: Mark Smith. Owning the most dogs in the Celebrity Doggelgängers calendar; Miss April and Miss August. Record holder: Pete. Most wheels fallen off a bus while on a road trip; 2. Record holder: Scoopy Q. Youngest person to dunk a proper height basketball ring; 14 years old. Record holder: Liam Young. First person to ride on a bike one handed; on 11 mar 2000. Record holder: Adam Nicoletti. Reciting the alphabet in shortest time; 2.36 secs. Record holder: Jack Mathers. Longest Layby; 3 years. Record holder: Emilie’s Mum. Most number of sneezes in succession without stopping; 38. Record holder: Angus McKelvie Hill. Longest time playing flappy bird on the toilet; 43 mins. Record holder: Simon Sir Sitalot. Most chewing gum chewed in an 8 hour period; 4 packets, or 40 individual pieces. Record holder: Joe Blay. Most 5 cent pieces; 1 bucket full. Record holder: Luke Hanlon. Longest time sat in the same chair; 14 hrs 45 mins. Record holder: Gus Williams. Most loud farts in one class; 10 times. Record holder: Isaac Ritchie’s friend. Fastest time reciting the alphabet backwards; 3.96 sec. Record holder: Sam Bennett. Read all of the Harry Potter books 26 times each. Record holder: Emily. Most amount of spins in a pool; 6 front flips. Record holder: King of Vertigo. Most hours slept: 18 hrs. Record holder: Duncan Errey. Most time spent making chewing gum dogs; 2,000 hrs. Record holder: Nellie Gillespie’s friend. The most brothers and sisters; 8. Record holder: Chloe Mcbeath. Knowing the most Emma’s/Emily’s; 14. Record holder: Taylor. Having the most memes in one folder; 855. Record holder: Brian the goat. The person who Andy Lee has the biggest crush on ever. Record holder: DJ Havana Brown. Most things stuck artistically on a wardrobe door (postcards, magazine clippings, concert tickets etc); 105. Record holder: Sara Donaghy. Record broken by Sara Donaghy with 141. Best footballer (soccer). Level: Fantabulous. Record holder: Nirvan Naidu. Longest streak of not doing the dishes; 17 years (whole life). Record holder: Thomas White. Ate an entire Tommy Millions pizza in eight minutes. Record holder: George Parker. Fastest Seinfeld quoter; 10 seconds before line for 98% of any given episode from the 9 seasons. Record holder: Lily Madrigal. Hold a Coles home brand water bottle lid on right thumb for 1 hr 4 secs. Record holder: Veronica Duncan. Highest number of Happy Hour episodes listened to in 24hrs; 20 eps. Record holder: Blake Nicholson. Record broken by Jeroen with 21 eps. Biggest procrastinator; 15 hours in 1 day. Record holder: Chris Piercy. Working the most amount of Sherlock (Benedict Cumberbatch version) references within a conversation; 8. Record holder: Lauren. First person to read through all of the records; completed on 26/04/2014 at 1:36AM. Record holder: Tara Lieschke. Oldest Age to play Hide and Seek; 23. Record holder: Andy. Most cumulative working hours spent on the toilet getting paid; 250 hrs. Record holder: Brad. Most Weet-Bix eaten in 30 mins; 20 Weet-Bix. Record holder: Robert Menon. Worlds longest “Wazzuuuuuuuuup”; 44.2 secs. Record holder: Grace Balderson de Dieu. The longest time recording on an iPhone stopwatch; 18,077 hrs 59 mins 34sec (and obviously still increasing). Record holder: Tim Vella. Longest streak of holding on to a poop; 4 uncomfortable days (non-constipated). Record holder: Beak. First person to get pooed on by a bird 3 times in one Recess. Record holder: Sam. Biggest collection of ring pulls from a can; 16,854 ring pulls (4 ice-cream tubs full). Record holder: Lewis Martin. Coolest person ever to exist. Record holder: Julia. Listening to Hamish & Andy on the radio at the fastest speed; 80mph. Record holder: Morgan and Haley Bissegger. Owning the longest piece of string. Record holder: Sam Goodwin. Longest amount of time staring at Chuck Norris without going blind. Record holder: David. The most times pressing the lock button on my car key remote before believing it’s locked; 5. Record holder: Maggie-Bea Crandley. The longest wheelie in a wheelchair; 43 mins 18 secs. Record holder; Nick S.
Most amount of consecutive years as a first year uni student studying the same course; 3 yrs. Record holder: Rebecca Melia. Largest number of cups of tea made from one tea bag; 5. Record holder: Shaun Claughton. Furst persin tew subbmitt ae rekord thatt haz everee woord speelt inkorrektily. Record holder: Thomas. The first person ever to win a Happy Hour Gold (Coloured) Watch. Date: 17/07/13. Record holder: Sarah Ridsdale. Most car windscreen wiper wipes in a 6 hour car trip; 14,768 wipes. Completed on 27/04/14. Record holder; Shaun. Resisted scratching an itch for the longest period of time (the itch didn’t go away); 4 mins 13 secs. Record holder: Mitchell. Longest time tapping own head with a mini football; 10 times. 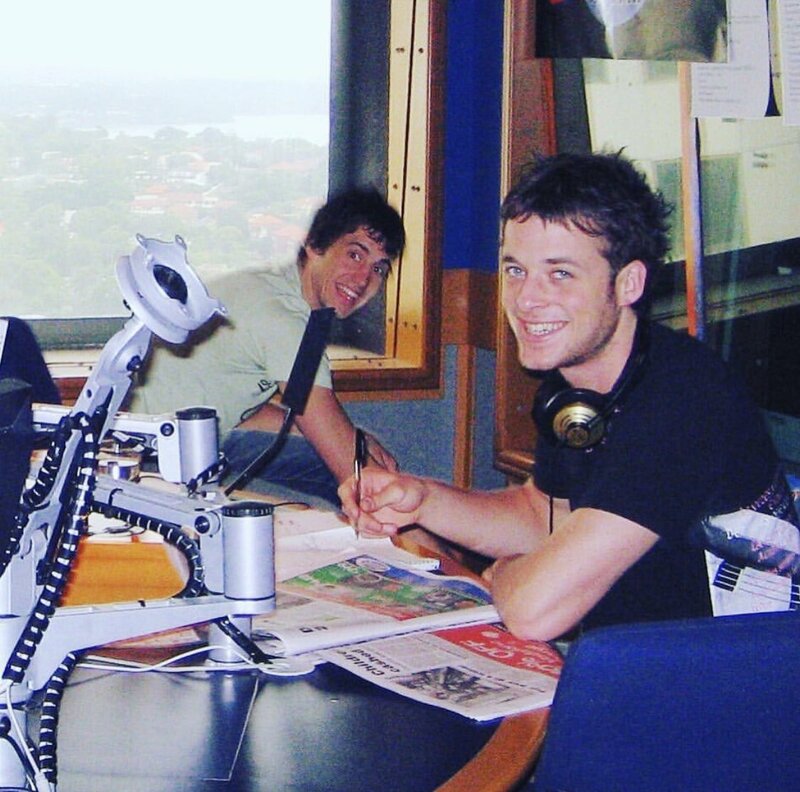 Record holder: Hamish Blake.